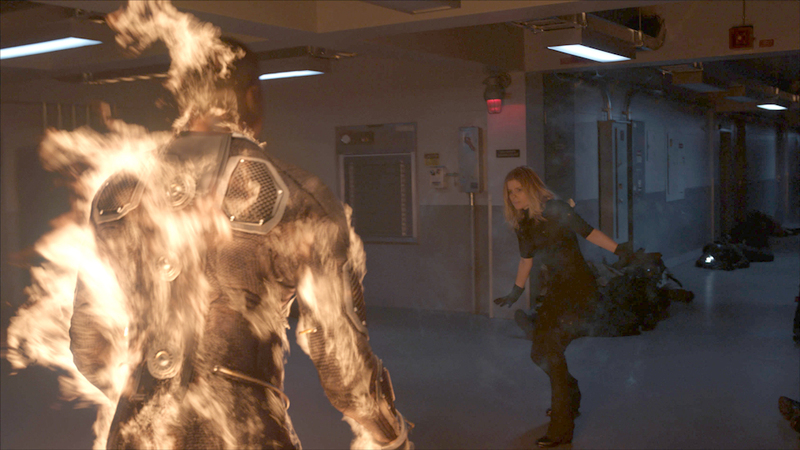 ‘Fantastic Four’ is a bland attempt at a reboot that lacks personality and even logic. As far as Marvel superheroes go, the Fantastic Four have had a rough run of things outside of comics. Despite name recognition and their legacy as Stan Lee and Jack Kirby’s first creations, the group has only yielded a pair of forgettable films in the early 2000s and a campy Roger Corman effort not even meant to be released. What’s really surprising about Fox’s 2015 reboot of the franchise, though, is that it doesn’t even manage to reach the series’ already low standards. Directed by Josh Trank, who helmed the excellent Chronicle, and starring a cast of up-and-coming actors including Miles Teller as Reed Richards, Michael B. Jordan as Johnny Storm, Kate Mara as Sue Storm and Jamie Bell as Ben Grimm, Fantastic Four (or Fantfourstic, as the posters call it), seems full of potential on paper. The story follows a young Reed Richards as he joins a think tank that helps him to build a teleporter to another dimension. However, when Richards and his friends use the teleporter themselves, things go awry and they must deal not only with their new powers, but with what they’ve unleashed from the alien dimension. The cast—particularly Michael B. Jordan—drew a lot of heat early on for deviating from the comics, but they are actually one of the better things about the film. Jordan brings a confident swagger to Johnny, and Teller is able to imbue Richards with a lust for exploration, very befitting of the character. However, despite the strong cast, the film doesn’t do much of anything with them. It’s constantly rotating characters in and out of the main plot in a bland first act that’s heavy on explaining the science of things, but never really gives its stars a chance to gel or feel like friends. Toby Kebbell’s Victor Von Doom feels off in particular, with the character coming off more like a disgruntled Reddit user than the misguided genius he is in the comics. Kate Mara isn’t terrible as Sue Storm, but she’s not great or memorable either, delivering her lines with minimal effort. What really sends Fantfourstic into the crapper, though, is an abysmal final battle that throws out the grounded science of the first 40 minutes in favor of nonsensical action, and wrapping up loose ends it never developed in the first place. Doctor Doom’s design looks like an early render of the T-1000 from Terminator 2 and spends the entirety of the fight doing generic villain things with none of the finesse the film attempted earlier. Not to mention the entire film suffers from subpar CGI on characters like the Thing and seems to have forgotten what the sun looks like, with film sporting a dark, muted color palette and every character draped in shadows for some reason. Fantastic Four tries to be a darker, more grounded superhero film, but ends up doing nothing with its interesting set up, and instead plays like an feature-length trailer for a film that doesn’t even look good. There is some potential buried within it, but cringe-worthy lines, a story that’s forgettable at best and some rotten VFX work drag the film way down. What’s really disappointing is how the film wastes its talented team and doesn’t give Marvel’s first family the suitably fantastic movie they deserve. Did you have high hopes for the reboot? Do you think Fox will continue making ‘FF’ movies? Tweet me @MaxMielecki. Also, be sure to follow us @YouNerded.